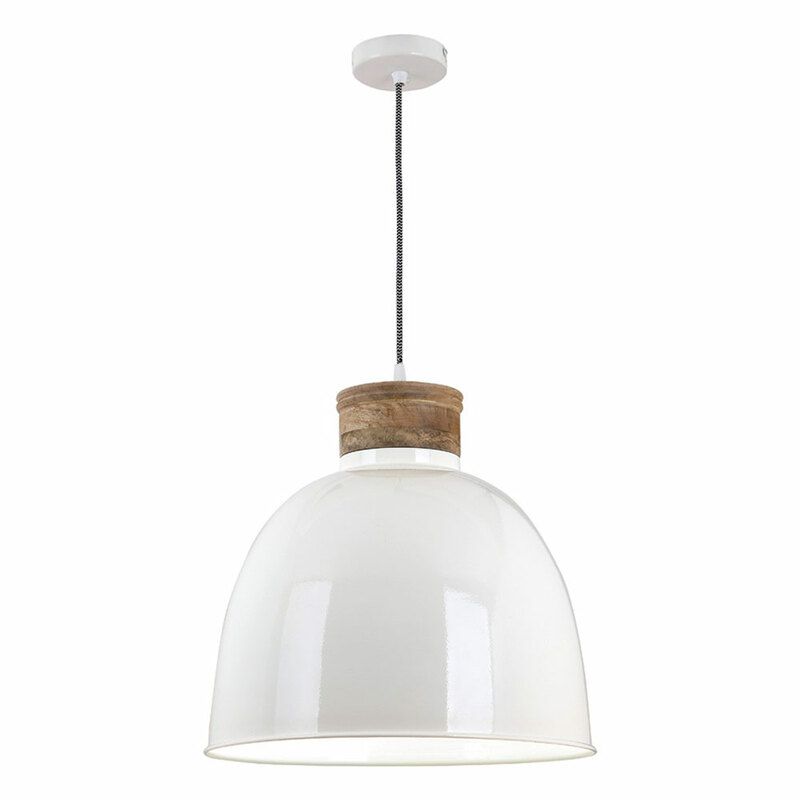 A contemporary pendant light shown here with cream gloss shade and natural mango wood detail. Supplied with black and white braided cable which can be fitted at a minimum height of 53cm and a maximum of 143cm . Also available in matte black.